Many people realize that a tooth is made up of a crown and its roots, but there are also deeper layers involved. Watch this video to take a closer look at the anatomy of a tooth. There are 4 layers of tissue in addition to the crown and root. The enamel is the hard white casing that surrounds the crown and protects the tooth from impact and vibrations. The dentin is a softer material that absorbs the pressure that your teeth endure from actions like chewing. The dentin also supports the enamel. The pulp is the heart of the tooth; it nourishes the tooth and contains blood vessels and nerves. Finally, the cementum is what fixes teeth to the jawbone. Park 56 Dental provides high quality dentistry in the New York City area. For more information about our cosmetic, sedation, and emergency dentistry, feel free to visit our website or give us a call at (212) 826-2322. Root canals are popular dental treatments that address internal issues. 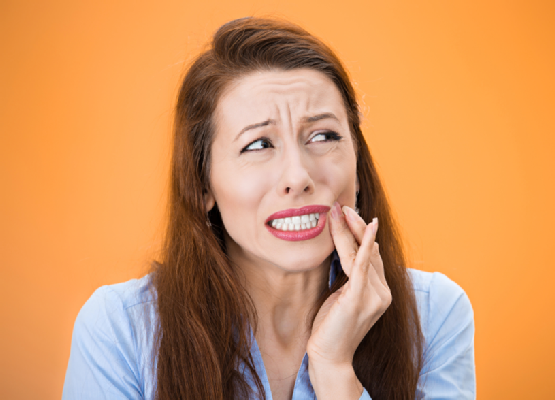 Contrary to popular myths, the discomfort experienced during a root canal is comparable to that of a dental extraction. Here is the dental patient’s guide to root canals. The purpose of a root canal is to treat the inside of a tooth . This procedure is done on teeth that suffer from a significant amount of decay that has led to infection, which is typically painful. When a decaying tooth is left untreated, it becomes more and more appealing to bacteria and food debris. This allows an infection to occur in the inside of the tooth, which is where the nerve and pulp are located. The damage of these interior materials can cause pain and allow bacteria and infection to spread. Fortunately, a root canal can remove the infection and save the natural tooth. Either a dentist or an endodontist will perform your root canal. He or she will first examine your tooth, typically using an x-ray, to get an idea of the severity of the infection. After giving you a local anesthetic, a sheet of rubber will be used to maintain dryness around the area of the infected tooth. Once this is in place, your dentist or endodontist will drill a small access hole into the tooth in order to evacuate the pulp, thereby removing bacteria, debris, and dead nerve tissue. Then the interior of the tooth will be cleaned and any remaining debris will be removed before it is sealed. During a separate visit, your dentist may add a crown or other supportive structure. If your dentist recommends finishing the procedure with a permanent filling or crown in a separate visit, avoid heavily using your newly treated tooth until that time. Your tooth may be sensitive after the procedure, but this can be addressed using over the counter medications. If you think that a root canal is the right treatment for you, contact the dental professionals at Park 56 Dental . We provide the New York City area with high quality dentistry. Find out what makes us the best dentistry practice in NYC by visiting our website or calling us at (212) 826-2322. While straight teeth can provide obvious benefits like an attractive smile, they also bolster your oral and general health. Keep reading to more fully understand the health benefits of straight teeth. Crooked or misaligned teeth tend to cause overcrowding or gaps in your teeth. This can lead to swollen gums and even periodontitis. On the other hand, straight teeth align in your mouth in a healthy manner, preventing complications that can lead to infection or disease. Additionally, straight teeth are easier to clean than crooked teeth. When you can easily clean your teeth you can remove bacteria that might otherwise cause tooth decay, which can lead to tooth loss and gum disease. Infections in your mouth can also lead to serious conditions including diabetes, pneumonia, or even stroke. Achieving and maintaining a healthy, straight set of teeth is one of the keys to keeping a healthy body. Want to know more about the health benefits of straight teeth? Come to Park 56 Dental in New York City. We are a top provider of high quality cosmetic dentistry treatments. You can learn more about our practice by visiting our website. If you live in the area, stop by or call (212) 826-2322. Everyone deserves to have a beautiful smile that they are proud of, which is why more and more people are asking their dentists about Invisalign. Invisalign is a nearly invisible alternative to traditional metal braces, and offers unmatched comfort and convenience. Instead of wires and brackets that can irritate your mouth, Invisalign aligners are made of smooth plastic. The aligners are completely removable so you can maintain your normal dental health routine and eat whatever you want. In this infographic from a top dentist in New York City , you’ll learn more about the many benefits of Invisalign. Whether you are interested in small cosmetic corrections or fixing larger dental issues, your dentist can help you get the smile you’ve always wanted with Invisalign. Please share with your friends and family, and give yourself a reason to smile! Cosmetic dentistry is an excellent solution for people who wish to improve the appearance of their teeth. There are many available treatments, and many of them also improve your teeth’s functioning. Here is a look at some of the most popular cosmetic dentistry procedures. One cosmetic dentistry procedure that reinvigorates both form and function is the dental implant treatment. A dental implant seeks to replace your natural tooth, including the root; this keeps the bone under your tooth as well as the jawbone alive and well. This treatment is long lasting and can significantly improve your ability to eat food or even speak. If you are missing one or more teeth, dental implant treatment may be the optimal solution for your needs. Another treatment that improves aesthetic appeal as well as functionality is veneers. Dental veneers are bonded to the outside of your natural teeth in order to provide extra support that feels natural. Using porcelain or composite resin materials, your dentist can turn your chipped or worn teeth into brand new versions of themselves. These materials can be made to replicate the color and look of your natural teeth to perfection; porcelain and composite resin are also strong and durable, so you can return to eating whatever you like without a problem. This treatment can offer your smile a new sense of beauty and ability. The teeth whitening treatment is one procedure that is mainly cosmetic. This process is also known as bleaching, and it involves the lightening of your teeth using special whitening agents. The whitening agents are perfectly safe and this treatment is very common. The teeth whitening treatment helps to undo aesthetic damage to your teeth caused by discoloration, making it a popular procedure for wine and coffee drinkers. Are you interested in these cosmetic dentistry procedures? If so, call Park 56 Dental at (212) 826-2322. We are among the top dentistry practices in the New York City area. If you would like to know more about our cosmetic dentistry services including implants, veneers, and teeth whitening, feel free to visit our website .